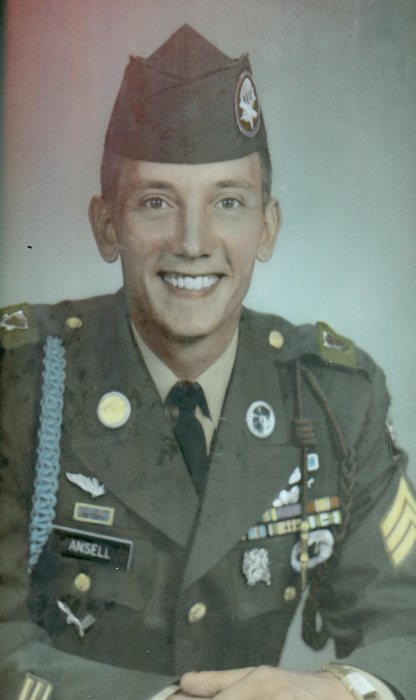 Obituary for Charles Ansell, Jr. | Frank Kapr Funeral Home, Inc.
Charles Ansell, Jr.,72 of Dawson, a Purple Heart recipient for wounds in Vietnam, died peacefully Monday morning, November 19, 2018 in Excela Health Westmoreland Hospital, Greensburg. He was born March 30, 1946 in Mt. Pleasant the son of the late Charles and Margaret Owad Ansell Sr.
Charles attended the Lower Tyrone Presbyterian Church. He was the graduate of Frazier High School Class of 1964. He was enlisted in the US Army and US Navy. Chuck was a proud Veteran of the U.S. Army, serving with the C/1/125th Infantry TUSNA. 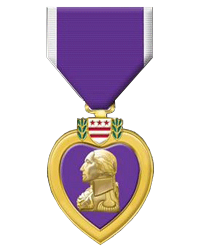 He was the recipient of the Prcht Badge, Combat Infantryman’s Badge, Army Commendation Medal, Purple Heart for wounds receive by enemy fire in Viet Nam, National Defense Service Medal, Viet Nam Service medal, Viet Nam Campaign Medal and attained the Rank of Sergeant. Following his Honorable Discharge he again enlisted in the U.S. Navy where he attained the Rank of Equipment Operator First Class and was retired from the Navy January 1, 1997. He was an avid corvette enthusiast and along with his wife Kim, they enjoyed car shows throughout the area. He enjoyed spending time with Kim and their dogs, working on projects together and riding bicycles and enjoying spontaneous rides together. He was a very talented Railroad Modeler, working with wood and enjoyed going to the rifle range with his numerous friends. Charles was a loving husband to Kim, Grandfather to Brooklynn, Brother to Florence, Andrew and John and a Friend to many. Family and friends are cordially invited to attend visitation Wednesday from 2 – 4PM & 6 – 8PM. Additional visitation will be held FRIDAY from 9:30AM until 11AM, at which time his Funeral Service will begin, with Pastor Robert Prinkey, Officiating. Chapel Service and Interment will follow in Green Ridge Memorial Cemetery, Pennsville. Members of the Southmoreland Veterans Association Honor Guard, will conduct Full Military Honors at the Chapel.